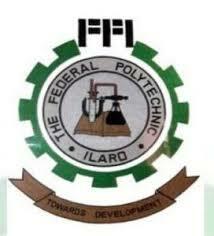 Federal Polytechnic, Ilaro [FPI] National Diploma Part-Time First [1st, Second [2nd] Batch Admission List, Acceptance Fee and Registration Procedures for 2018/2019 Academic Session Out. This is to inform all the candidates that applied for admission into the Federal Polytechnic, Ilaro (ILAROPOLY) National Diploma (ND) part-time programmes for the 2018/2019 academic session that they can now check their admission status online. Federal Polytechnic, Ilaro ND part-time admission lists contain the names of candidates offered provisional admission into the polytechnic various ND part-time programmes. Admission List has been uploaded online and can be downloaded in PDF. All candidates have been offered Provisional Admission into Federal Polytechnic, Ilaro (ILAROPOLY) ND part-time programmes are to proceed with the payment of acceptance fee immediately. N.B: Please note that the deadline for the payment of Acceptance Fee for ND FIRST LIST is MONDAY, AUGUST 27, 2018. The under-listed candidates have been offered Admission into the Federal Polytechnic Ilaro Part-Time National Diploma (ND) programmes for the 2018/2019 Academic Session. Please note that the deadline for the payment of acceptance fee for ND SECOND BATCH is MONDAY SEPTEMBER 19, 2018. ND PART TIME CANDIDATES YET TO BE ADMITTED ARE REMINDED TO SUBMIT THEIR CREDENTIALS IN THE ADMISSION OFFICE…….